Piers Morgan received his comeuppance after a year of baiting Netherlands striker Robin Van Persie when the Dutchman sent a package to his house. Morgan, a well-known Arsenal fan, has spent a year tweeting negatively and mockingly about RVP, who had he had dubbed 'Robin Van Pursestrings' after he left the Gunners in the summer of 2012 to join Manchester United in a £24m move. 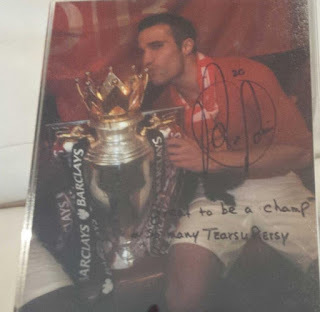 For Van Persie, the deal paid off instantly - Van Persie won the league with the Red Devils for the first time in his career, while Arsenal crept into the Champions League places for next season with a fourth-place finish, and went an eighth straight season without a trophy. And having taken Morgan's insults for a year, Van Persie has had his revenge, the CNN presenter has revealed. "So I just received a package from Manchester United press office," Morgan tweeted. "The package contained a double-sided framed photograph. 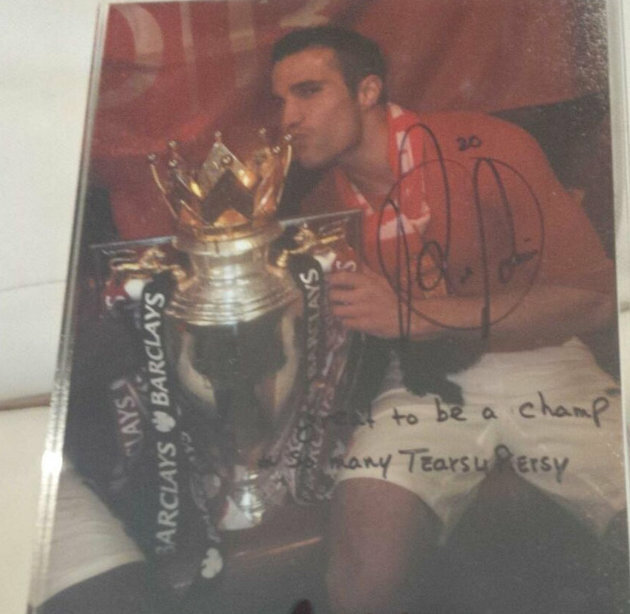 Of Van Pursestrings kissing the Premier League trophy. "Side 2: 'Great to be a champ... so many #Tears4Piersy'"
For once, though, Morgan had to accept that someone had got the better of him. "After all the grief I've given Van Pursestrings, he's allowed a whack back. I'll just have to take it on the chins. "I will of course afford RVP gift the respect it deserves. And use it as my loo doorstop in Beverley Hills."